What could be better than performing at the opening night of a world-renowned festival, and while there, unveiling and launching a brand new project? Teaming up for live audiovisual performance, NIX, the multitalented Montreal-based music producer Évelyne Drouin, a.k.a. 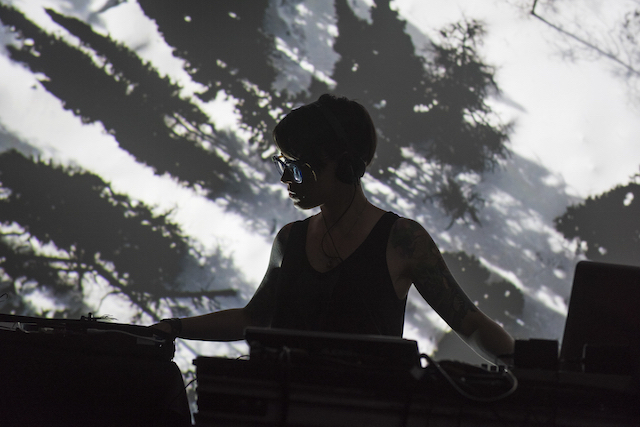 DJ Mini and new media artist Nelly-Ève Rajotte world-premiered a brand new collaborative project at the start of the 16th edition of MUTEK, an international festival of digital creativity and electronic music. By mixing their disciplines and respective aesthetics, the duo offered up an hybrid audiovisual experience that immersed festivalgoes into the heart of a mesmerizing journey exploring the complexities of the relationship between man and nature, and raising modern environmental questions. 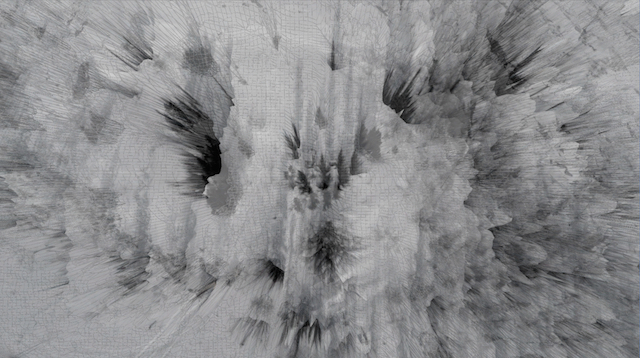 Deconstructing black-and-white drone footage, Rajotte contributed with a series of dynamic visuals oscillating between realistic, wild, snowy landscapes and abstract glitched textures developed over the course of research efforts. Drouin, on the other hand, unfolded an organic electronic quilt, at once arrhythmic and perfectly synchronized, marking a radical break from her signature sonic aesthetic. The convergence between the two delivered a conceptual experience, thanks, in no small part, to an audiovisual aesthetic render generated by the use of both digital and analog technologies, and also to a real time looping approach allowing audiences to feel the nonphysical natural forces surrounding us. The Creators Project: First of all, congratulations! It was pretty awesome, and the feedback that I heard around me was really positive. I imagine you’re satisfied with the success of this first collaboration ? Rajotte & Drouin: Yes, we’re very pleased with the audience receptivity, the show was amazing, we had an awesome sound system with lots of bass to work with… The whole building was shaking ! How did this collaboration come to light? Can you explain the origins of the duo, and tell me about your workflow? 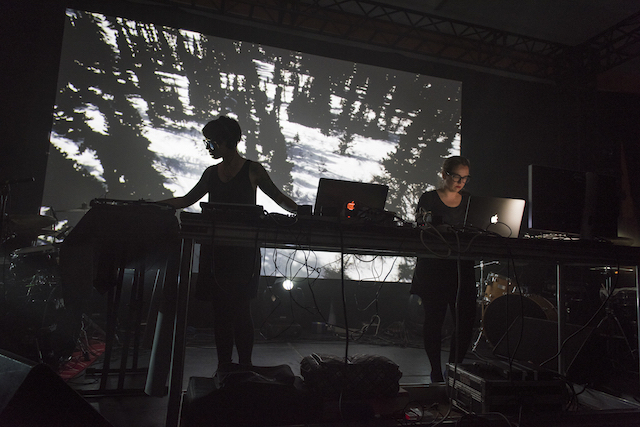 Rajotte & Drouin: Doing NIX at Mutek was a great opportunity and context to present a collaborative audiovisual creation. Nelly could you describe us Evelyne’s work and vice-versa? Rajotte: Her music expresses her sensitivity, brings the listener into narrative sequences, as soundscapes that evolve subtly over time. She uses lots of low frequency « basslines, » giving the listener a full-embodiment experience. It gives it a strong ground with the earth, it’s cerebral, organic, rough and sensitive. 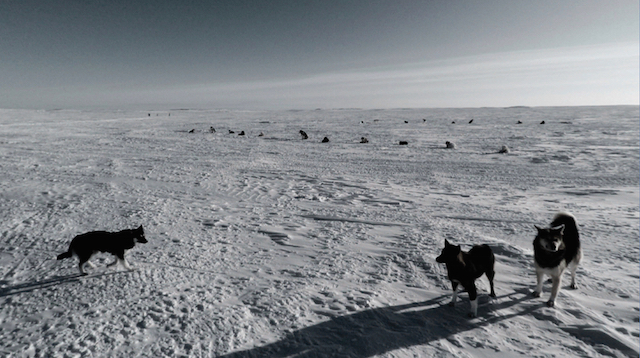 Drouin: In all of Nelly-Éve’s work, I see the human presence and disappearance, wandering souls lost into forces of natures, ghosts and beast, almost… It really speaks to me. Her aesthetics alter the viewer’s perspective in many ways, gives a powerful emotional impact, braking away time and logic by deconstructing what’s around us and altering speed. 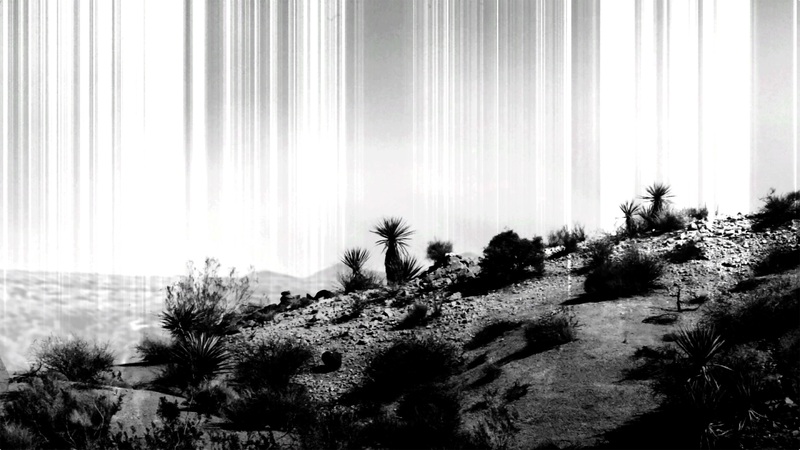 She makes landscapes tell stories, it’s challenging the viewer in slow, minimal and hypnotic approach. When taken on stage, it remains contemplative but is also involving for the viewer through movement, and interacts with the musical content. 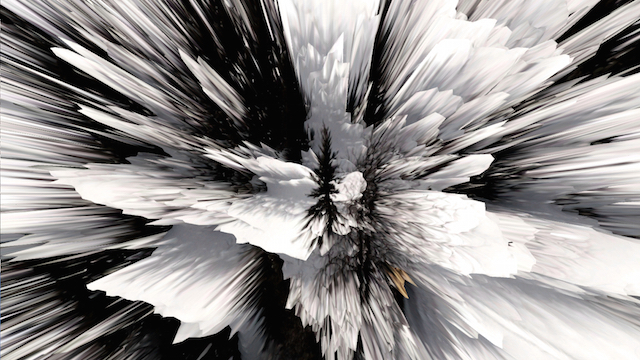 We witnessed a powerful and thoughtful mix of organic and synthetic elements both in the audio and video components. Where does this comes from? Could you talk to us about your influences with regards to the creation of this performance? Rajotte & Drouin: As the images were highly contrasted, we wanted low lighting on stage, to become anonymous silhouettes projected onto the landscapes, to become part of the whole visual composition. Drouin: For NIX, I worked with real tangible “matter”, material, I had my own “sound design table” to bring my process on stage that’s a sound design approach. It has a flat surface with fabric, metal straps and springs mounted onto it, then I was touch, hit or bounce my hand on it, the audio is picked up by small mics. The sounds generated were sampled in an app to process, time stretch, and create textures, tones, and percussive elements. It made performing a more fluid, more physical experience as I would build many layers into an an almost “wall of sound. » It links my DJ background, keeps me alert as a performer, breaks away from planning. Using lots of low frequencies brought a physicality to the experience as well. Rajotte: I start every creation with a color in mind. For NIX, the aesthetic and color were white and black, possibly inspired by our last long and cold winter. The images were highly contrasted to give kind of a 3D effect. Textures of rocks seemed to be coming out of the screen, and sound would alter the landscapes making them look almost like a nervous system. 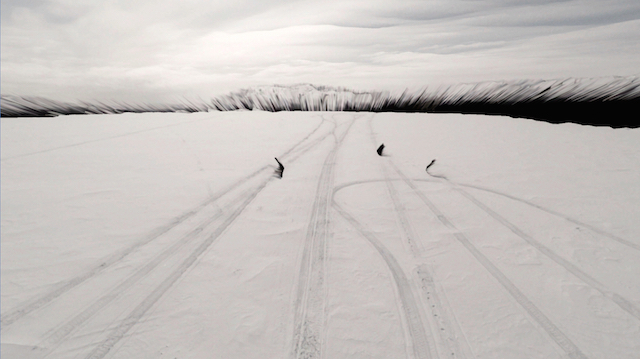 Because there was so much contrast, the patterns of snow in the images became almost like veins, skin, and brought them back as an almost human component. In the end, it becomes a direct representation of the physical experience generated by the audio, the physicality of it. The aerial point of view of the earth gave the impression it was phasing out behind us, the audience had the impression of being pushed, away, and into an infinite vanishing point of view of the landscapes. The use of the drones was a perfect way to bring landscapes into movement, and having a GPS electronic device navigate through them, referred directly to the organic and electronic mixture of the music. Can you talk more about merging analog and digital technologies into your creative process, as well as its technical aspects? Drouin: I don’t focus so much on tools, my best work comes from creating “happy accidents”; machine-generated, or [through] creative routing. I process sounds multiple times, building my own ‘recipes’ through pedals, VSTs, computer-generated effects and organic sounds (scales, arpeggios, combining, multiplying, subtracting to create unpredictable results). I love to use sounds of fans and crickets. 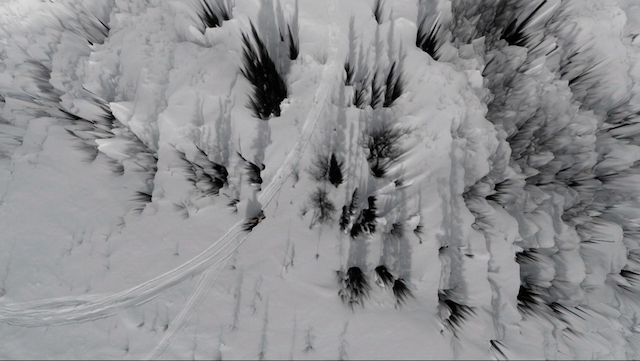 Rajotte: For NIX, the images of snowy white Quebec were filmed by a drone. It was the first time that I didn’t have to physically shoot my images with the camera in-hand. On the first editing session I selected only the somewhat accidental or overly mechanical movements of the drone. I liked the hesitation of it. And when the camera shifts between right and left, they are very obvious unnatural camera movements. I also used the long traveling shots that brought the perspective to an infinite vanishing point. After getting through the first set of images, I started editing them with Final Cut 7 (yes, I still use it…) I do color correction to have a unified look for the project. The use of the aesthetic information is always precise—there are never any “baroque » looks. There are no direct references to the software used for the editing or processing part of the content; the work has to be “technologically seamless.” Technology facilitates the mix of referential images into and with abstract by textures, in a subtle way. For me, effects are not a finality, they only bring a texture that refer and complement the sound. For NIX, I used VDMX. This software is so amazing… If you have a problem, the creator answers you in the next minute on a Sunday night at 1:00 in the morning… Soooo great! What’s next for you and this collaboration? Can we expect a NIX 2? Rajotte & Drouin: We have NIX documented on video, and want to study the strong points of the performance and keep working on making in even more impactful for future shows. We’d love to bring NIX to other media arts festivals around the world, schedules permitting. 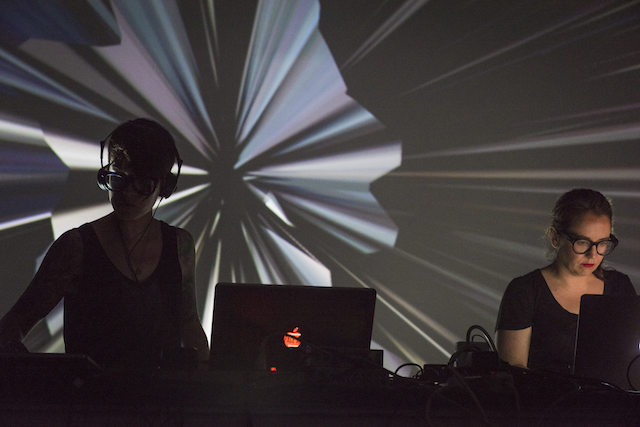 We believe the project can be presented at other festivals and events such as Transmédiales, Sonar, SXSW, Gaieté Lyrique, and other editions of MUTEK (Mexico, Columbia, Barcelona) and Iceland Airwaves. Drouin: Launching “EV mini” through my website, for educative and cultural mediation (3D printing, conductive materials, little bits, microcontrollers, making and hacking electronics, mixing low tech, or no-tech at all; arts and crafts). You can see this progress through my instagram. Launching “EX mini” for immersive and experiential projects such as using EEG/brainwaves for generating multimedia content, installations, and immersive projects. “DJ Mini” stills refer to my audio body of work. Then, a collaboration on a dance piece that started last year, with emerging choreographer Andrea Peña, and the interactive creative technologist, Omar Faleh. That’s through Festival Quartier Danses at Cinquième Salle in Montreal’s Place des Arts and should be presented in the Fall. Rajotte: I have my parallel practice as a new media artist and this year is a busy one. On May 5th I’m performing for a project with Samuel Bobony (Black Givre) called Ruptur/at the Daïmon art center. 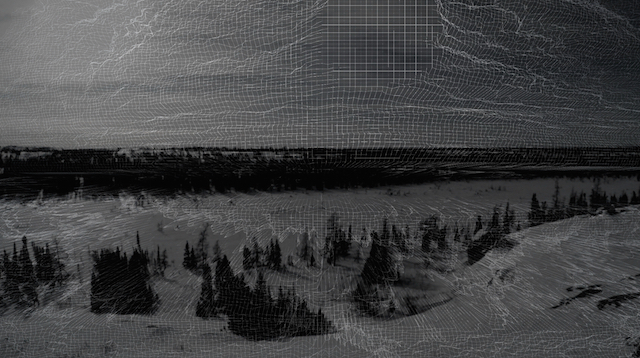 I’m also working on an architectural projection for the Human Futures project with the artist Darsha Hewitt. The project will be show in October 2015 on the Goethe Institute’s building in Montreal. I’m doing a residency in August at La Bande Video for an architectural mapping project that will take place in Quebec City in June 2016. I also have a solo show (audio-visual installation) at Circa Art Actuel in Montreal in March 2016. I’m currently working on an interactive installation that’s going to be shown next year also.